How Long Will The Sunny SF-T7603 Last? When it comes to treadmills in this price range, it is good to think of their longevity like shoes. As other treadmills in the market compared to a basic treadmill, one should imagine a new pair of New Balance or Asics shoes compared to the flip-flops they hand out at the nail salon. Even if you're not man enough to admit the number of pedicures you have received, we have all see those Styrofoam neon sandals that are so thin they can barely hold up to the walk from the massage chair to the cash register. Similarly, the SSF-T7603 is a very basic machine that is better suited for light exercise and not even necessarily on a daily basis. Some of us may be looking for those treadmills that are not much of an investment. But the SSF-T7603 treadmill is so cheap because it is one of the most basic machines that there is. Accordingly, we would like to point out that Sunny has intended the SSF-T7603 for those who enjoy light use. Or at least that is what we hope. With that said, the SSF-T7603 has won our Runner-Up Award for the 2019 Best Buys in the $399 and Under category. When we compared the SSF-T7603 treadmill to others in this price range, we noticed that the Sunny SSF-T7603 has a slightly better warranty, a unique handrail design, and more built-in workouts than most. We will discuss these more in length below. But there are some other features that come with Sunny’s SSF-T7603 treadmill that are a little less important. We want you to know how to look for the more important features, so we have explained the highly advertised features with a more accurate description. Sunny advertises a Soft-Drop system, shock absorption, and 3 Easy Quick Speed Modes. To start, the Soft-Drop system is a nifty way of saying that the SSF-T7603 treadmill folds. 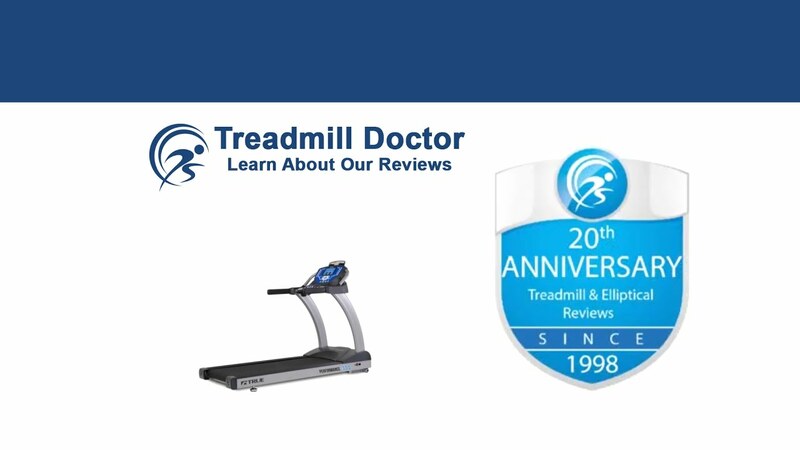 We do not usually point out the folding treadmill feature because nearly every treadmill under $1,500 dollars folds. The shock absorption is also something that nearly every treadmill has. Just like a car or truck, treadmills have shock absorbers that reduce the feeling of impact when the tires hit something. In the case of a treadmill, your foot causes the SSF-T7603’s deck to hit the frame underneath. The shock absorbers help alleviate the stress of your stride impact. Honestly, though, this is nothing to get excited about. Nearly every treadmill has shock absorbers because a company would be silly not to include it. Lastly, the 3 Easy Quick Speed Modes are three buttons that allow you to switch from 2mph to 4mph or 6mph at the press of a button. This really is not that significant because most treadmills have buttons that increase or decrease the speed. The Sunny SSF-T7603 treadmill’s buttons are simply broken down into two-speed intervals to make speed adjustments slightly faster. With the DC motor on the SSF-T7603 treadmill, you more than likely will not increase your speed all that fast. Does anyone remember the Jitter Bug commercials with the elderly folks who sang about a phone that looked similar to the LeapFrog phones from childhood? These phones are very pitiful when compared to the new iPhone or Samsung, but for little grandmas who really only want to make phone calls, they are perfect. The SSF-T7603 is one of the basic treadmills that serves a very similar purpose. We have awarded the SSF-T7603 the Runner-Up Award because of the minimal function that is nice to see in this basic price range. The warranty is probably the feature that stands out the most against machines with the same price tag. A 180-day parts and labor warranty is more than even our Best Buy winner. While this does not mean that the SSF-7603 is a superior machine, it does indicate to us that Sunny has shown they will stand behind even their most basic machines by providing an extra level of value. Outside of the warranty, the SSF-T7603 also comes with heart-rate grips. Most treadmills in this price range only come with thumb monitors. A very minor quality, but the little things do add up and it is nice to see Sunny adding more features where they can. Additionally, Sunny advertises Hand-Rail Control System. This means that they have put the control buttons on the support rails right about the heart rate handles. Though this is normally a simple advertising phrase, Sunny’s Hand-Rail design is actually pretty useful. Though it is still minor, at least you can check your heart rate and adjust your speed on the balance rails at your side instead of in front of you. This may prove a little more convenient that other console designs. One of the more interesting feature is the 2.2 horsepower DC motor. You may think that the SSF-T7603 stands out because it has a DC motor. But actually, this DC motor is indicative of a cheap quality motor. We would be here a while if we try and explain the differences between motor designs. So, we will try and give a synopsis. A DC motor, like that in Sunny’s SSF-T7603 treadmill, has a coil that rotates within a constant magnetic pull. When the current flows, the coil flows in a circular motion. The only issue is that this coil tends to catch when it is in between the two magnetic fields. Thus, you tend to get a push-and-pull feeling because the motion is, typically, not fluid in a DC motor. What does this mean for you? Well, you should just keep in mind that Sunny may seem different with their choice of a DC motor. But, really, the SSF-T7603 treadmill has a motor that is not likely to perform as smooth or as strong as a better quality motor. This DC motor is just one example of how Sunny has built the SSF-T7603 to one the most basic treadmills that are out there. Sunny has also equipped this treadmill with nine built-in workouts, a 9mph speed ability, manual three position incline, and a sixteen-inch walking area- pretty standard for the basic treadmills. Features like these give us the ability to categorize the SSF-T7603 as a walkers-only kind of treadmill. Over the years, we have noted that while the SSF-T7603 is a step up from some of Sunny’s bottom level models, one must be aware that the price range simply does not warrant much quality. We have found the SSF-T7603 to still be a basic machine and really best suited for light users who enjoy casual walking. The SSF-T7603 does certainly have some shining features that help it to stand out in the $399 and under price range. Our 2019 Best Buy Runner-Up has an above average warranty that shows the added value and support from Sunny as well as a few features that help show Sunny’s attempt to add value when possible. With that said, one should keep in mind that treadmills in this price range are not likely to last long and certainly not suited for users who intend to do serious, daily workouts. But, if you are a light, casual walker looking for a starter treadmill, then the Sunny SSF-T7603 is an okay buy.